What Is The Best Theme For Amazon Niche Affiliate Site? If this is what you are looking for, then let me introduce you to Focus Blog Theme from Thrive Themes. A complete conversion optimized WordPress theme which can single-handedly able to create a complete affiliate website with all necessary features. Yes, Focus Blog theme is one of the most powerful themes which has all necessary features, shortcodes, email opt-ins and a clean look & feel which is enough to create your first affiliate website. Why You Need A conversion optimized theme like Focus Blog Theme? The Thrive Themes Focus Blog theme is an HTML5 ready, 100% mobile responsive, very well-optimized and is built for speed. It offers automatic image optimization, built-in floating social buttons, multi-column extended drop-down menus, a font manager with 600+ fonts to choose from, a wide array of shortcodes and much more. I am using Focus Blog Theme for this website and you can see that how I am crafting each content with content box, headlines, buttons, pricing tables etc without using a separate plugin. And the reason is that Focus Blog theme is not just only a theme, it has many more features in-build which will help you to set up your website completely. As an affiliate marketer, our aim is to produce great content so that our visitors get convinced after reading the article and go for the product. And then only one can make money from commission. Affiliate marketing has become a very popular way to generate passive income. And to be very specific, these days building an Amazon Affiliate Site with WordPress is just a few clicks away. Although content plays the crucial part in affiliate marketing, you need a good theme to present that content in a deserving way so that the conversion can be increased. That’s why the thrive themes team has created an awesome theme with the integration of various shortcodes so that an affiliate marketer need not bother about anything else after installing the theme, which is Focus blog theme. Focus Blog theme is a cleanly designed theme from Thrive Themes. Although by the naked eye, this theme may not look that much attractive. But there are various hidden features which will help you to craft eye-catching content and present in your website through this theme. And that’s just scratching the surface. Further features in the theme include a speed-optimized related posts gallery, automatic image optimization, built-in floating social buttons, multi-column extended drop-down menus, click-to-call phone numbers, a font manager with 600+ fonts to choose from, post format support, multiple blog layouts and much more. When I started working on this website, I struggled a lot to showcase my content as most of my articles are related to WordPress tools, web hosting reviews and WordPress tutorials. I tried many separate plugins with previously used themes to use a call to action buttons, pricing tables, special content zone etc. But still, I was not satisfied and looking for a better WordPress theme. But with Focus Blog theme, my search ended. Let’s explore the reasons I fall in love with this Focus Blog theme. Showing an attractive email sign up form in your website is always challenging. There are many free email subscription plugins, but they are not up to the mark and you have to put a lot of hard work to match the color and the theme of your website. But with focus blog theme, you can simply design email opt-ins and place in the sidebar or below content or also create a dedicated focus area on top of your website. As a beginner, I think what else I can expect from a theme. Because there are good ways to get email subscribers with plugins like Optinmonster. But you have to spend money separately for the same. Although you can use OptinMonster or Thrive leads plugin to maximize your email subscription list. But when a theme provides you so many things, then you can at least wait for few days without spending more. I know many people will say that there are many free shortcode plugins available who can give many better features. But I will say, when Focus Blog theme itself has plenty of shortcodes with which one can do many things with the content, then why to look for an additional plugin. And besides that, you don’t have to worry about whether the color combination and other things will match with your theme or not as it was provided by Thrive Themes only. From the first 2 points, I am sure you might have realized that with the theme you can at least avoid email subscription and shortcode related plugins. Besides that, thrive themes settings also provide a good option to optimize images. You can explore settings like lazy load which will improve image load time. Altogether, this one theme is enough to improve your website speed. Off course you can further optimize with a cache plugin and take measures related to speed optimization. I will discuss page-speed optimization in a separate article. Want to create sales page or landing page for your product? Not need to buy any paid plugin as you can use the already provided various page templates with Focus Blog Themes. Have a plan to launch your e-commerce site? Then you can easily use any eCommerce WordPress plugin and integrate with focus blog theme seamlessly. Display your products, add to shopping cart etc can be done in minutes. Alternatively, for Genesis Framework lovers, use Infinity Pro Theme (Best Genesis eCommerce Theme). Although social welfare is the #1 social media plugin for WordPress, I want to ask you when you can use thrive social share buttons which looks stunning, why to install an additional plugin. If you can reduce one plugin, you know you can improve the load time of your website and that’s what I am doing with this website. This is one of the most selling thrive themes product. With thrive architect, you can even take your content further and optimized more. I have also purchase thrive architect and using for this website. The best part is that, thrive architect looks best with any of the thrive themes only. You can change the font family of title, header, page level and whatever you want. All the latest font-family is available with Focus Blog theme. Here I am writing my experience of buying Focus Blog Theme & Thrive Architect Plugin from Thrive Themes to make it easier for bloggers to follow the process. Thrive Themes is a very popular name in the world of WordPress blogging. They offer various products to create a 100% conversion optimized website, which is the demand of the time. As a beginner, it is always difficult to choose a best WordPress theme which is SEO friendly, fast loading and at the same time cost-effective. Well, Thrive Themes offer many such themes which will perfectly suit your budget as well as modern web design expectations. 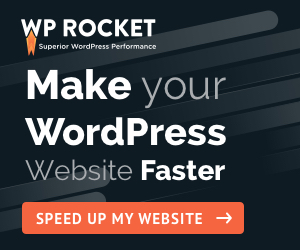 Besides they have plenty of plugins which will simply spice up your website with so many features, optimize for more conversion without compromising the site-speed. Let’s discover their products and how to buy a single product or Thrive Theme membership plan step by step below. Step#1: First of all you have to visit Thrive Themes official website https://thrivethemes.com. Step #2: On the right side top corner, click on Our Products and you will find a screen like below where they have shared their products. Step #3: Now choose the one you want to explore first. E.g. I was interested to buy a theme so I have clicked on Thrive Themes and started exploring their themes. They offer some awesome looking themes which will surely fit into your blogging niche. Step #4: After my analysis, I found Focus Blog theme is a perfect match for my blogging need and plan. So I simply click on the learn more button and proceed to that theme details page. Step #5: In the next screen, you will find the BUY THIS THEME button and proceed further to the payment page. Step #6: Here you will find 3 options available to choose from. I have purchased the Unlimited Personal License one to use multiple sites. You can also go for Thrive Theme Membership plan and pay monthly basis to get access to their entire Theme collection + Thrive Themes Plugins. Step #7: Simply provide your personal details and use the PAYPAL payment option and complete the payment. You can also use your credit card to complete the purchase. Step #8: After successful payment, you will get a mail in your email id provided while buying Thrive Themes. Here is the snapshot of the same. You are done with your investment. 🙂 It’s time to check out Thrive Themes dashboard. Step #1: As I have shown that you will get the login link in your previous mail screenshot you can click on the same or directly visit to Thrive Themes website and click on MEMBER LOGIN. Step #2: After successful login with your ID & Password, you will find the default dashboard screen like below. Just scroll down a bit, you will find out the products you have purchased. In case you have purchased thrive themes membership plan, then you will find all the plugins & themes listed there. Step #3: Click on the My Account & License Keys option from the right side menu. You will find the details about your purchases. Every Thrive product comes with a license key and you have to activate your website as soon as you upload that plugin or theme to work 100%. Any kind of violation of using their licenses will face tough action from Thrive themes. So, be careful and better to buy the licenses as per your use only and never miss use them or try to trick them. It’s just a one-time minimum investment towards your blogging career. Well, there is a various debate between Thrive Themes VS Genesis Framework, but I don’t want to go into that debate. As personally I like both Studiopress Themes and Thrive Themes both. Personally, I am using both the themes in my different blogs. You can check out my wife’s blog https://www.wpblogging360.com/, where she used Academy Pro theme from Studiopress Themes. I think it looks stunning. Each theme is good, but you should know where you are using. As I have mentioned many times, Focus Blog theme is perfectly suitable for an Amazon affiliate website or micro niche affiliate site. At the other hand, Studiopress themes is a very large community where you will find Genesis child themes related to almost any blogging niche. E.g. if you are starting a food blog, then I would recommend you to go for Foodie Pro theme from Studiopress. But to conclude this review, Focus Blog Theme is a perfect theme for bloggers who are mostly writing about WordPress niche, SEO & marketing tools, product review websites etc. Focus Blog is compatible with their Thrive Architect, Apprentice plugin, Clever Widgets, Thrive Landing Pages, Thrive Leads and all the essential affiliate plugins. So, even if there will be any changes in the plugins or in theme, it will be automatically taken care as the father of all of this product is Thrive Themes.